This is the introductory episode of the Fictitious podcast, a show that will delve into the storytelling process and business of writing for genre entertainment. And by genre, we mean all kinds of speculative fiction – science fiction, fantasy, horror and supernatural, and all the category-bending and -blending stories in between. Today’s working writer faces a complicated market – but also a wider set of opportunities than ever before. There’s a vast, ever-growing legion of authors entering the fray through self publishing and digital models. And the traditional models are just as challenging to break into – and stay in – as they’ve ever been. Yet, at the same time, a versatile writer who can diversify their body of work across publishing models, genres, and even media, can open channels to new audiences and greater success. Fictitious will focus on prose fiction, like novels and short stories, but we’ll also explore screenwriting for film and television, and scripting for other multimedia outlets, like audio dramas, graphic novels, games, and more. We’ll be talking to working and published authors, screenwriters, editors, and publishers to learn about writing for multiple platforms, and how to develop and sustain a career as a writer. These conversations will examine the craft, techniques, and work habits of passionate storytellers. And we’ll hear some some very enlightening and entertaining anecdotes along the way. 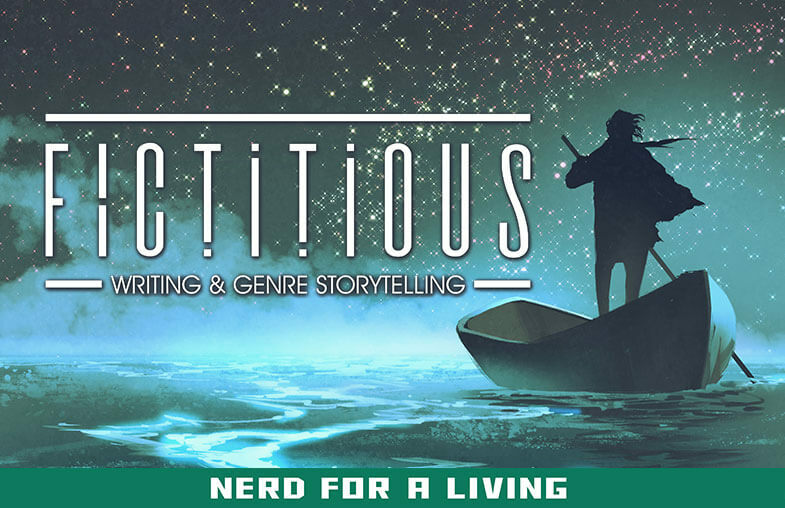 Fictitious is a new member of the Nerd For A Living family of podcasts. Our flagship show, the Nerd For A Living podcast, debuted in 2013, and has featured interviews and roundtable discussions with genre entertainment professionals across a wide variety of industries, including film and TV, animation, comics and art, small business, gaming, and lots more. 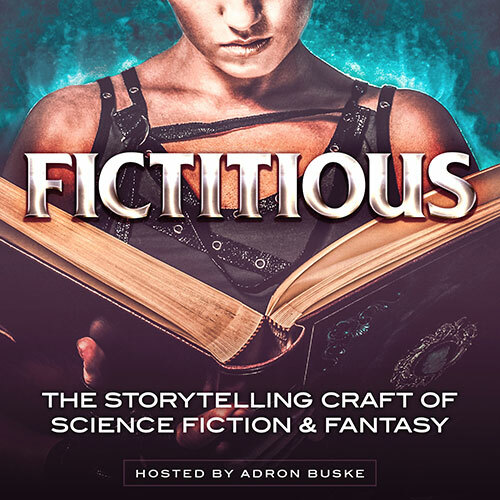 Fictitious is hosted by Adron Buske, and produced by Wendy Buske. Fictitious is a podcast about writing and genre storytelling. We delve into the storytelling process and business of writing for science fiction, fantasy, horror and supernatural, and all the category-bending and -blending stories in between. Fictitious is hosted by Adron Buske, produced by Wendy Buske, and presented by Nerd For A Living.